The Women’s volleyball team played in a high paced three set match coming out for an unfortunate second loss of the season. The scores being; 24-26, 19-25, 22-25. Both teams started off the match with intense play, the first set showed to be an exciting start. At 20-24 in the set the Clippers made things interested by taking the Lions to a 24-24 tie, but the Lions paved way with a 24-26 win in the set. 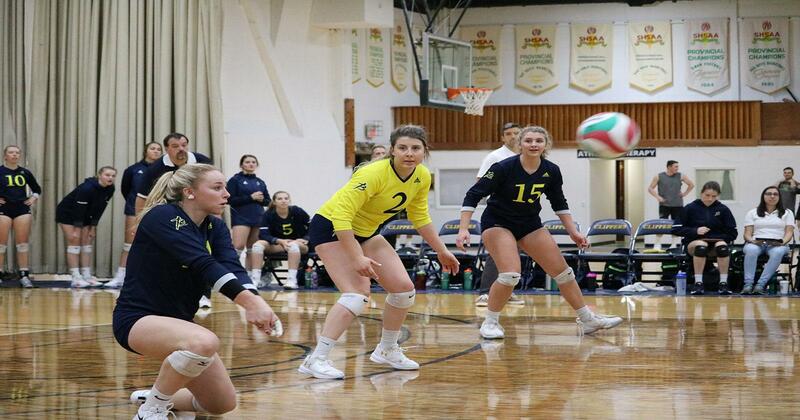 The second set started off very similar to the last, both teams relentless between each other, the Lions pulled ahead in the last points of the set creating a 19-25 win. In what would be the set of play, the Clippers couldn’t pick up their slack, the Lions racing with the Clippers. The set stayed close, but the Lions pulled ahead 25-22, ending the match in three sets. With 8 blocks 5 kills #3 Becky Garner obtained player of the game for Briercrest playing a well-rounded game despite the defeat.